We found a camellia tree in the backyard of our neighbor full of toxic caterpillars! That tree is not ours, but blooms nicely in winter. It therefore seems our duty to keep her healthy. And our own health must be cared as well. Hello, friends. We are so happy to see you again. 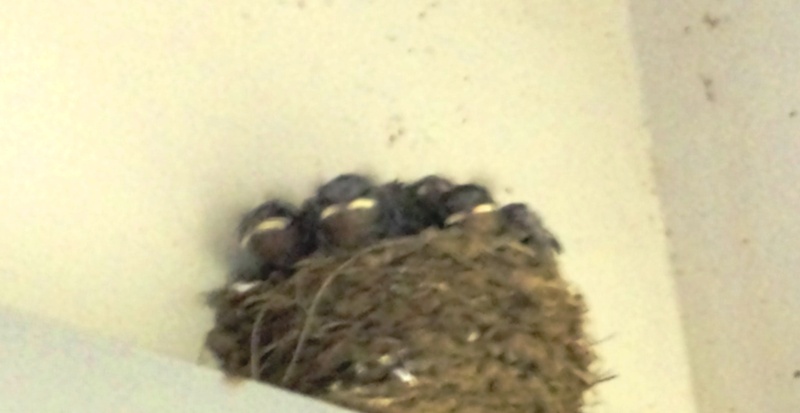 This is their fixed dwelling place, at the entrance of a supermarket. A wise couple knows that it is easy to feed their children here, lit up even after sunset. Mei-Shun cannot stop visiting them every day until they’re grown up enough to leave the nest. Tora-chan likes to rest in a plant pot these days. It might work as a stomach warmer in the morning, facing east. 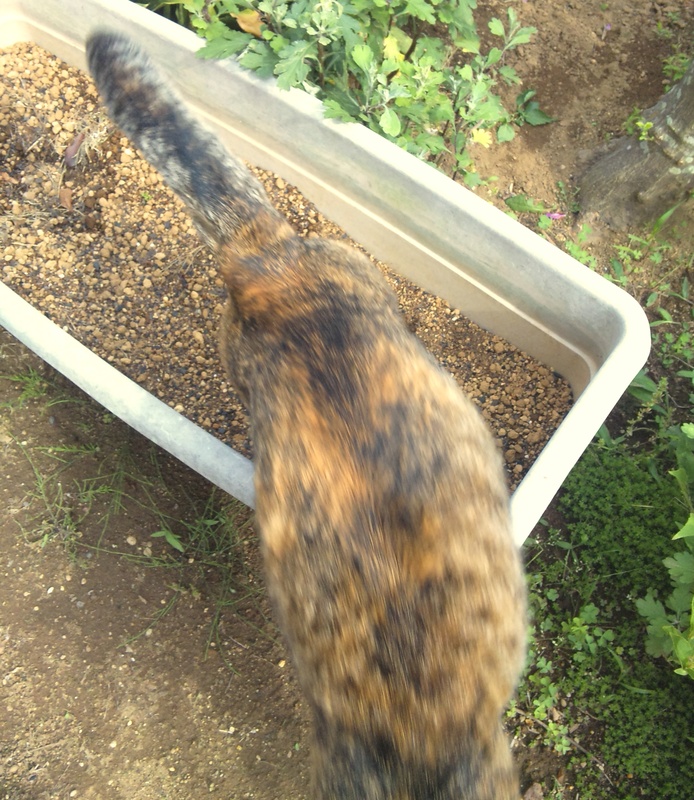 Her tabby coat looks so much harmonized with the soil that we are surprised when she jumps toward us at the porch. … occurred at around 14:30 today, with the epicenter just below our feet. A shock has been felt “at the bottom of the stomach”, and a quite strong, lateral vibration immediately followed. Such one reminds us of the scary experience we had 4 years ago. The eldest son of Professor S is a doctor, managing a clinic in Nakano, Tokyo. It is so nice to come here by train, chat with him before taking a kind of aesthetic treatment. A diagnosis requiring an operation has prevented Mei-Shun from enjoying this little monthly journey, yet now she is very happy to resume it. Our next-door neighbor has a unique hydrangea. Petals (not really, sepals) are colorful ranging from pale blue to pink, different from each sprig. They say acid soil grows blue hydrangeas while alkaline one pink ones. Ours is the former, so we wonder which nature their garden has.